Well, hello there! 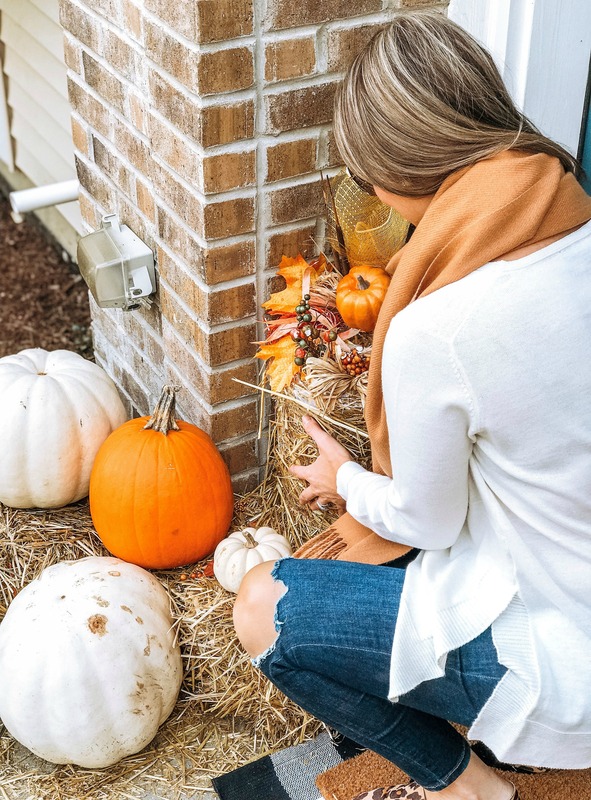 If you follow me on Instagram then you probably saw a sneak peek of our fall themed front door entry yesterday so today I’m sharing a full blog post on our outdoor decor! 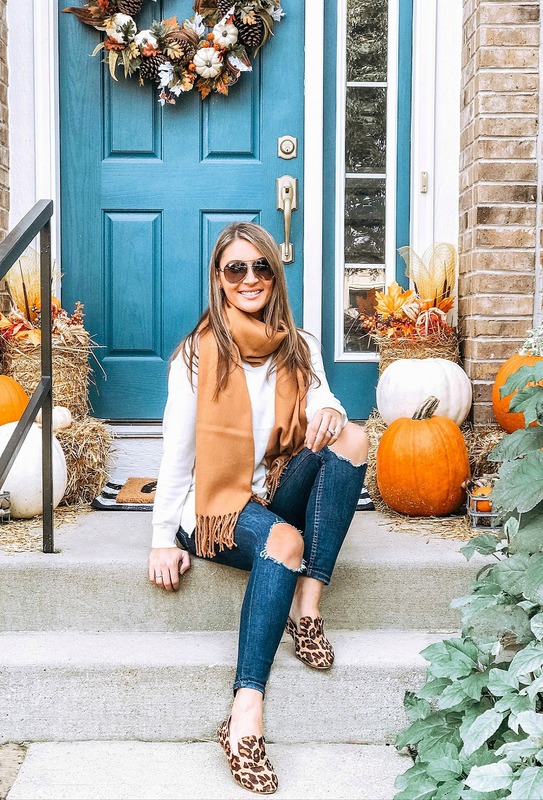 There are several reasons why I love fall so much. 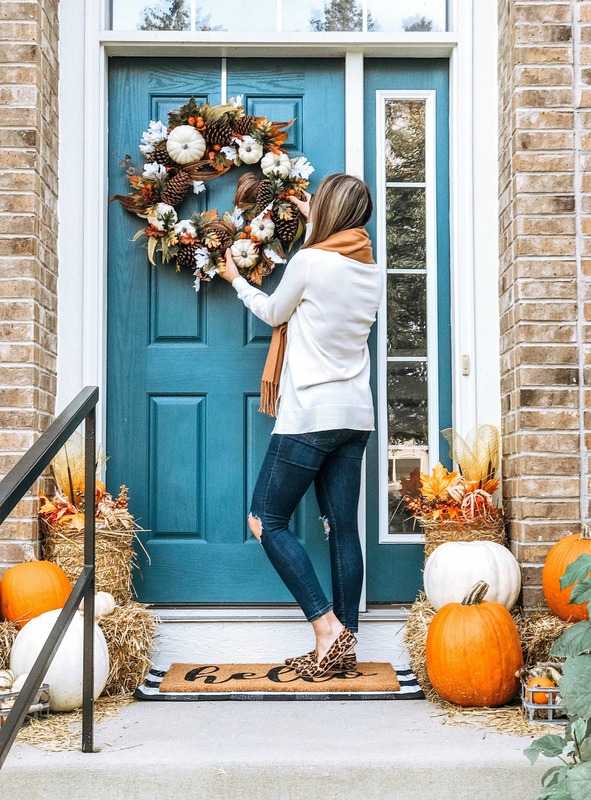 One being seasonal fall decor. You can keep it simple or go all out and easily transform your home to make it look festive and inviting. 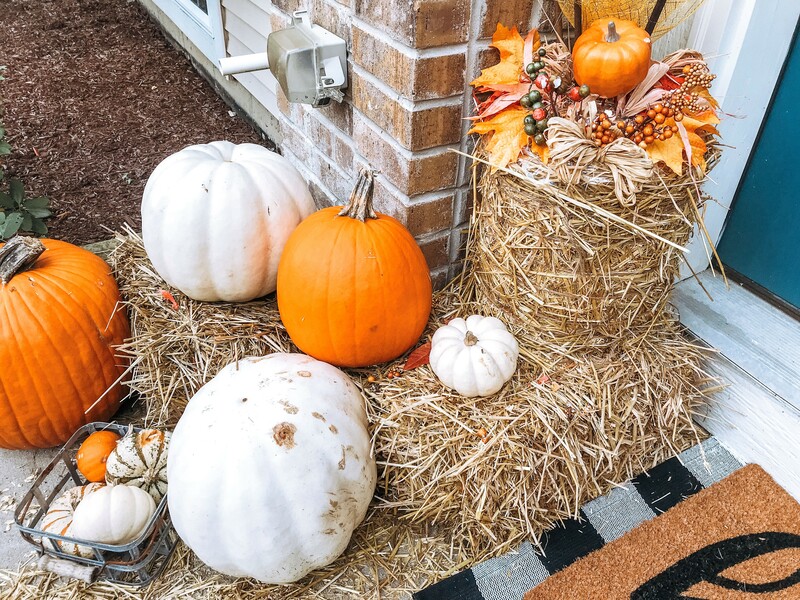 I keep it pretty simple by only decorating the outside with orange and white pumpkins in a variety of sizes to create dimension that I keep out from end of September through November. 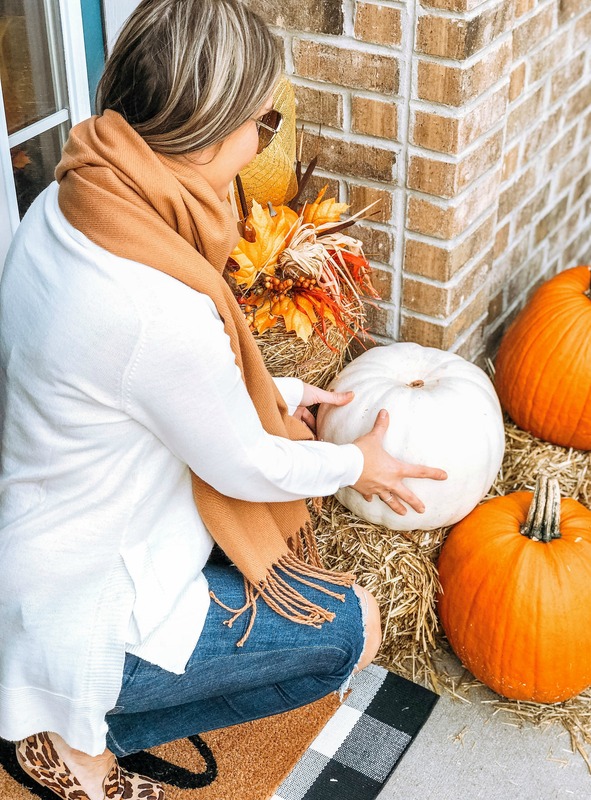 We purchased our large orange pumpkins from Costco for only $5.99/piece and our white ones from Home Depot which range in price between $8.99-$12.99. So much cheaper than getting them at a pumpkin patch. 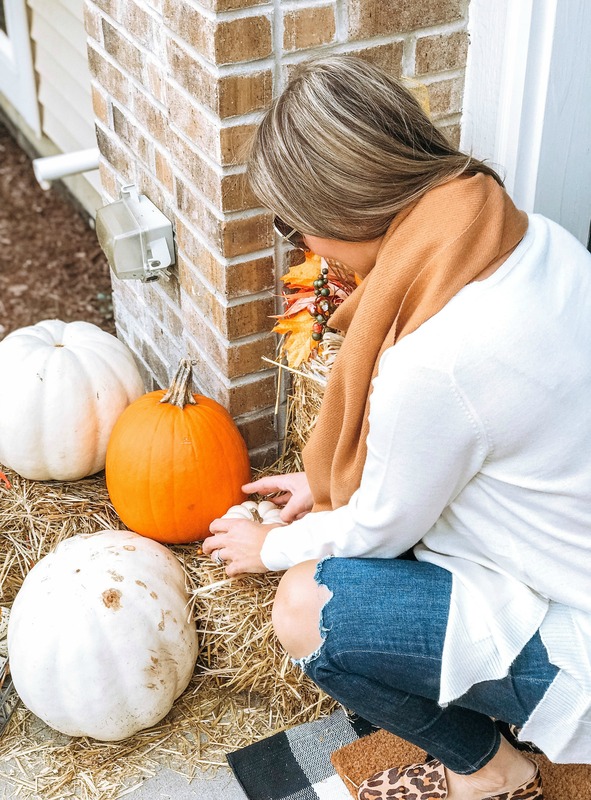 The straw bale (which can get messy) gives you that extra harvest touch, but if you’d rather not deal with straw hay all over, then opt for some large mums to offset the pumpkins. This is the second year I went with the layered look which makes a huge difference and really makes your doormat pop. My rug and doormat both came out to under $40! 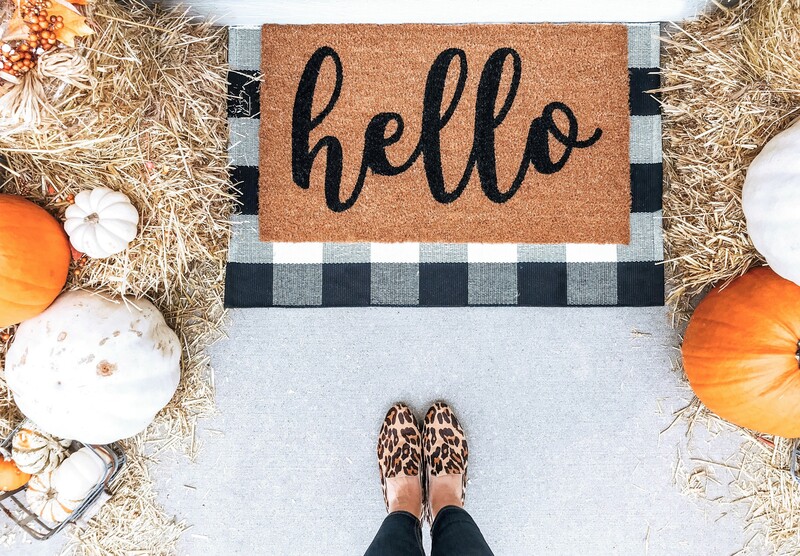 I purchased the same doormat from The Home Depot as last year and replaced our striped rug from Crate and Barrel with a black and white checkered rug from Amazon. You can see last year’s front entry here. Our wreathe is from HomeGoods and I think we spent about $250 for everything. 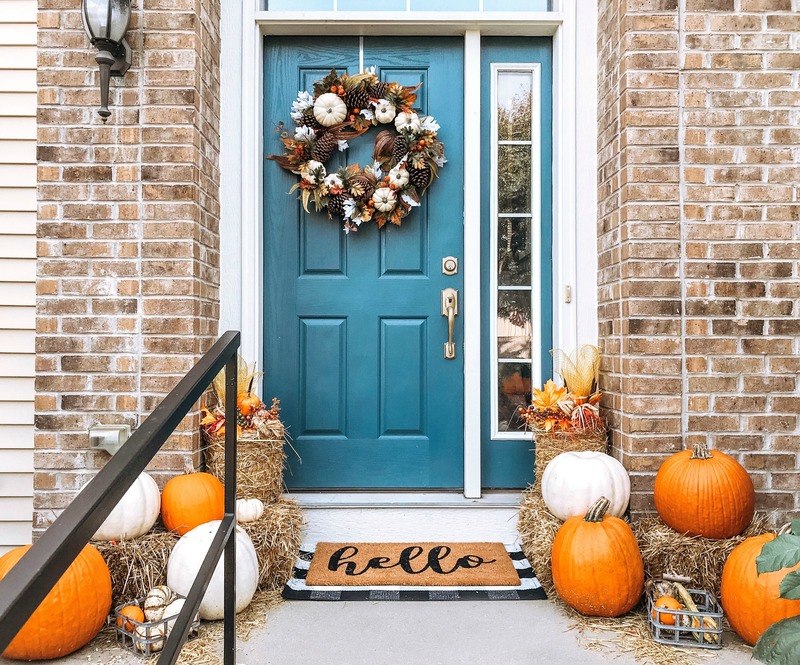 What are some ways that you decorate for the season? 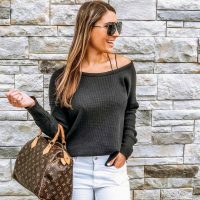 I’d love to hear your ideas and any suggestions you might have and if you have any photos to share, leave a link in the comments below! 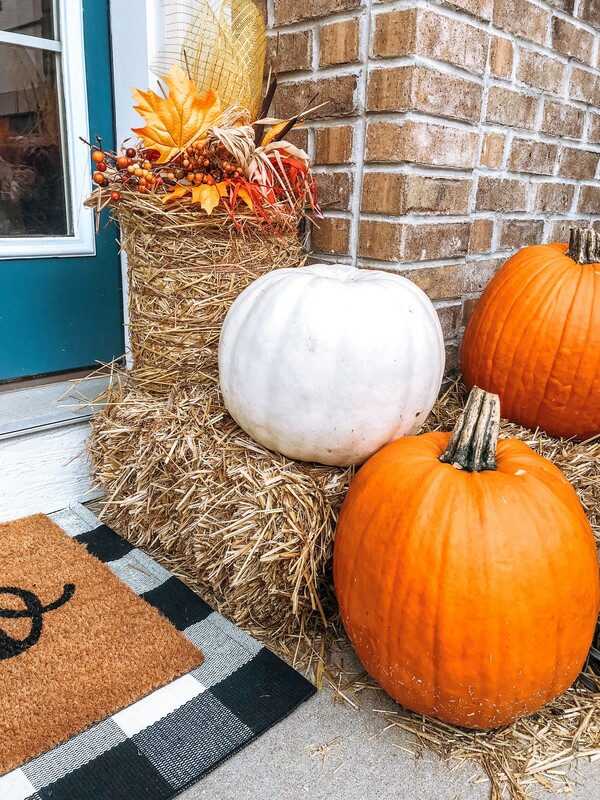 It looks so pretty with your pumpkins! 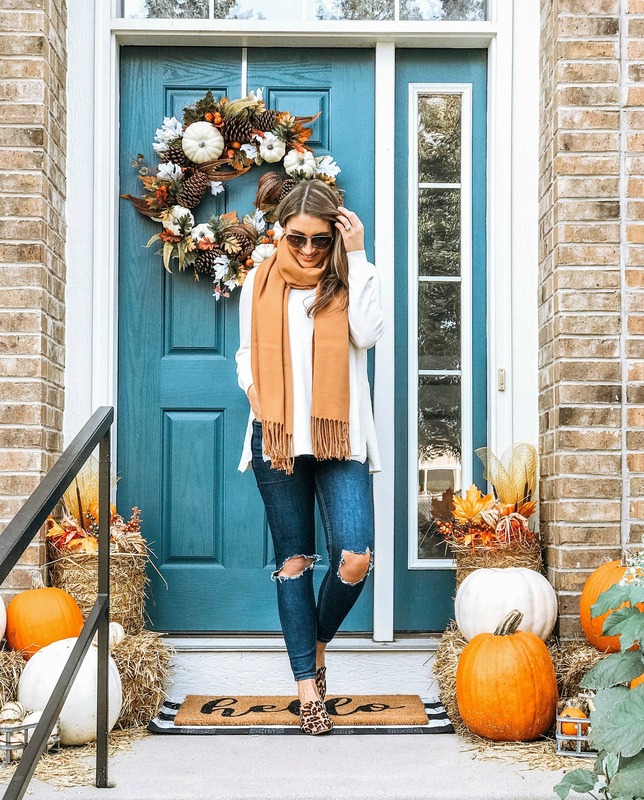 Love your door color! It’s so nice to finally have the cooler weather after the hot summer we had!